APARTMENT 3 BEDROOMS + GARAGE. Ref. 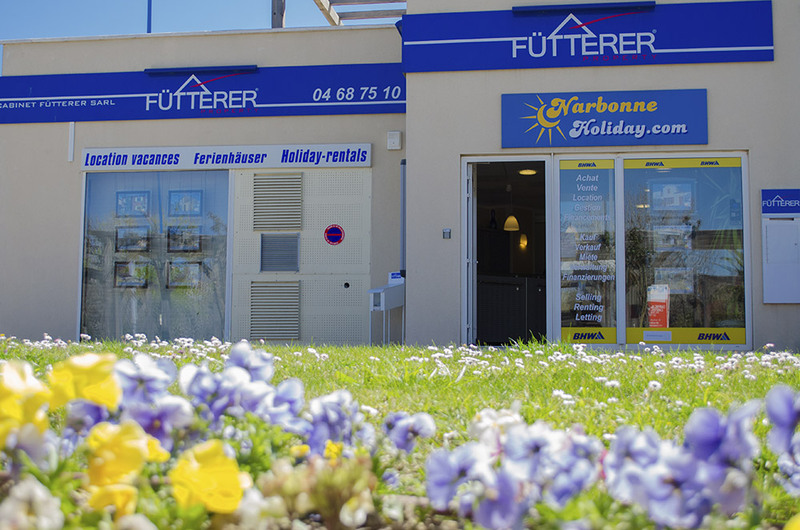 3025 - Fütterer Property introduce to you in NARBONNE-PLAGE: Elegant and spacious 3 bedroom home in secured development only 2 min away from the beach. Like new! Exceptional kitchen facilities, garage, nice fenced backyard with open view make this amust to visit! Regulated by a co-owner status - Co-ownership service charges of 473€ per year - Co-ownership of 145 lots.